So you want to know about the best Dropbox alternatives? Well, no need to worry about. In this article, I am sharing a list of 7 dropbox competitors, which more or less offers the same features as Dropbox. In fact, some alternatives are better than Dropbox in terms of features and usability. Can’t wait to know about top sites like Dropbox?? You don’t need to either. Now without any additional delay, let’s get straight to the list. 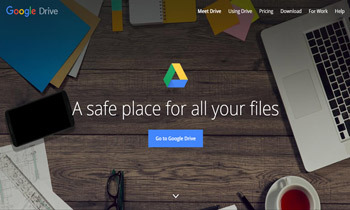 Google Drive is one of the best Dropbox alternatives. In fact, I prefer Google Drive over Dropbox in several circumstances. And If I’m not wrong, you already know Google drive. It is a Google Product. And whenever there is Google involved in something, it already becomes trustworthy and feature-rich. You can call Google Drive a free Dropbox alternative for a reason, that it offers over 15GB free cloud storage, which is more than the need for a basic user. To use Google drive, you don’t require to even sign up for the service. If you have a Google account, you can start using Google drive right from the moment. Below are some of the key features of Google drive. Store all type of files- On Google drive, you can store all type of files including photos, stories, designs, drawings, recordings, videos and anything you wish to. Free 15GB storage and affordable premium plans- Google drive Offers a free 15 GB online storage to store various files. Also, the premium plans for more storage are affordable. Supported on all devices- The best feature of Google drive is its compatibility with all the devices including smartphones, tablets, or computer. Real-time File Sharing- With Google drive, you can’t just share files via the sharing link or email ID. 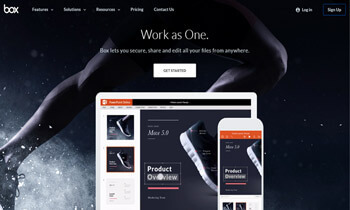 Drive also allows real-time sharing which is a handy feature while working in collaborations. Share files and folders- You can quickly invite others to view, download, and collaborate on all the files you want. High Security- Drive is a highly secure cloud storage platform. It’s encrypted using SSL. And it’s the same security protocol used on Gmail and other Google services. Works Offline- My favorite feature of Google drive is its ability to store files offline. No matter if you have an active Internet on your Phone or not, if you have saved file for offline use, you can use it anytime you wish to. Instant-sync, Speech to text conversion fluently, ability to leave comments, integrity with other Google tools like Google Docs, Sheets, Slides, Calendar, Hangouts Google Docs, Sheets, Slides, Calendar, Hangout, etc. are some other features in the list. As I told you above, Google drive is far more affordable than Dropbox and other services like Dropbox. Here’s the Drive Pricing. Free plans offer 15GB of cloud storage. For 100 GB, you need to pay $1.99 / month. The Google Drive plan for 1 TB asks you to pay $9.99 / month. For 10 TB of cloud storage, $99.99 / month needs to be paid. There are even higher premium plans for more storage, which you can check on the official website. If you are a Professional and looking for Dropbox alternatives that are business oriented, then Box is the one for you. The Box is not exclusively designed for the business people only, but it’s also a good option for personal use. When it comes to Document Sharing, online document editing, document syncing and easy interface, Box turns out to be the best Cloud storage service compared to its competitors. Below are some of the key features of Box. The best and most significant feature of the Box is the free 10GB Cloud Storage. It offers exceptionally Secure File Sharing system. Box Sync your cloud data with its app, which make you access your data from anywhere around the world. The Box is the best platform when it comes to apps integration. It integrates popular apps like office 360, Google docs, etc. Thus, it lets you edit your files right on the BOX. Real-time Document Sharing is the another best feature. Box Notes, File Preview, Search and favorites, Comments, and Tasks etc. are some other features on the list. Now coming to the Pricing. The pricing of Box is pretty impressive. There are three different pricing modules for Box including Individual Plans, business plans, and Platform plans. Every plan has different pricing packages. After the Free plan, the most popular among them is the Business plan. When you get started with Box, you get 10GB of free storage, which is really appealing. But the only drawback I feel is the minimum file upload limit. On Box, you get only 250 MB file upload limit which is pretty low. Here are the other details of the business plan. The first plan is the Starter plan. In this, you need to pay $4/month for 100GB of storage. And you get 2GB file upload limit. In the Business plan, you need to pay $12/month. In this plan, you get unlimited cloud storage. And a hefty 5GB file upload limit. The last plan is the Enterprise plan. This plan is best suitable for the large enterprise. In this plan, you get a plethora of additional features. To purchase this plan, you need to contact Box developers. 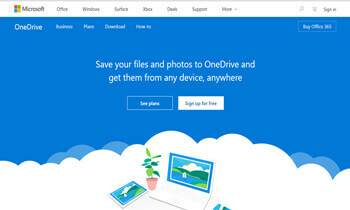 Microsoft OneDrive is yet another dropbox alternative that deserves to be on the list. Some of the features are as follows. Enhanced security system. Unlike other services, OneDrive allows you to give access to others on shared files for a limited span of time. Apps for Android, tablets and other devices. Offline folders access and multi page scanning. Facility to edit and annotate the file, advanced file sync options, web-based access, search and discover option etc are some other features on the list. There are lots of Microsoft plans that you can go for. The free plan of one drive offers 5GB of free storage for the personal use. Apart from this, there are two different pricing modules for personal and business use. And each plan has different pricing with the different set of feature. Here’s a quick overview of price details in the personal plan. On $99.99/year, you get to use 5 TB total cloud storage which is suitable for 5 users, where each user gets 1000 GB. The next plan is of $69.99/year. In this plan, you get 1 TB of storage with a different set of features. The next lower plan is for 50GB, which you can buy on $1.99/mo. 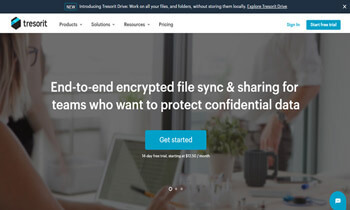 Tresorit Tops the list of Dropbox alternatives when it comes to security. If your primary reason for looking for applications like Dropbox is the Privacy Concern, then go for Tresorit. Trust me, you are not going to get any secure service than Tresorit. Below are the key features of Tresorit. The highest level of end to end security. As per the claim by the company, TreSorit security is tested by over 1000+ hacker across the globe. Mobility is the next feature. They offer Android and desktop apps to enable it to be accessed from anywhere around the world. Easy, secure and risk-free collaboration. Unlike other applications similar to Dropbox, Tresorit doesn’t offer free cloud storage. But it does offer a free 14-day trial which you can try your hands on. Here are the plan details. There are two plans for the individuals i.e. Premium and solo. In the premium plan, you get 200GB storage by paying $12.50 a month. And the solo plan gives you 2,000 GB encrypted storage for just $30/month. for business, they have three sub-pricing modules for Small business, Business, and Enterprise. For Small business, they give 1000GB cloud storage on $25/mo. which is applicable for 2-9 people. In the Business plan, they offer 1000 GB storage on $15/ mo. which is applicable for 10+ users. The enterprise plan is custom. It’s applicable for 100+ users. You need to contact them to attain this package. The next Cloud Storage service that is similar to Dropbox is SpiderOak. It’s a US-based online storage and collaboration tool, which was launched in the year 2007. It offers everything from the online backup, to file hosting services, synchronize, data sharing etc. Below are some of the features offered by this Cloud storage service. SpiderOak is known to be a ‘no knowledge and secure by default’ product. They give you Complete control over the data. High level of end to end security. The ability to share files with password protection. And there are more features in the list, which you can check on their website. The pricing of SpiderOak is different for the different set of features. Like other Dropbox alternatives, SpiderOak also offers a free plan for the basic users. In this plan, you get 2GB of free cloud storage. However, it’s not the highest storage compared to its other competitors. But if your requirements are not very high, you can go with this plan. Here’s a quick overview of the cloud storage premium plans. 100 GB storage on $5/month. You can check detailed pricing on their official website itself. Sync.com is yet another best Dropbox alternative. It’s an extremely feature rich and easy to use service. Sync.com offers more features than any other cloud storage service. And the pricing of Sync.com is also attractive. Whether you are a business or looking for a cloud storage service for personal use, Sync.com is a go-to place for all kind of users. I can’t list out all the features of Sync.com in the short introduction. But below I’ve provided information on some of the Sync.com features. Below are some of the key features of Sync. On sync, you get 5GB of free cloud storage as soon as you sign up for the service. It offers seamless data synchronization. Any file saved on your computer is accessible across all your computers and devices through their apps. It offers mobile apps for iPhone, iPad, and Android. On Sync.com, you can access your files and data Offline. 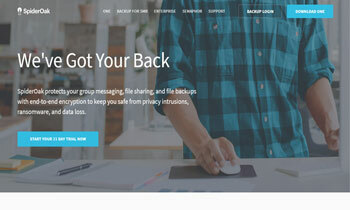 Sync.com offers fast, secure and multiple file sharing options. You can share any files on your Sync.com Cloud storage, even if the other one doesn’t have an account on Sync.com. 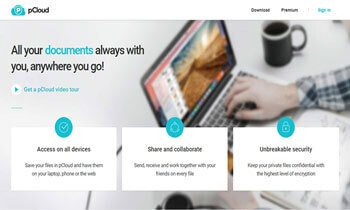 Advanced file sharing option including password protection, expiry date to the shared documents, customization to read and write only and so forth. real-time file backup and restoration. And a lot more features are offered by Sync.com. 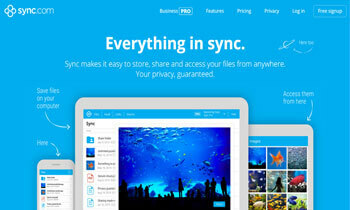 If you will try it out, trust me, you will love using Sync.com over any other cloud storage service. The moment you sign up for Sync.com, you get 5 GB of free storage. It’s higher than Dropbox, but we do have other Dropbox alternatives which offer more storage than Sync.com. But 5 GB is a pretty decent deal for most of the average users. But in case if it’s not sufficient to you, you can check out other premium plans offered by Sync. As I mentioned earlier, the first plan is the free plan. In this plan, you get 5GB of storage without paying anything. The second plan is for individual users. In this plan, you need to pay $8 per month to get 2TB secure storage. You can customise this plan by contacting the Sync team to communicate further. The third plan is the Business plan. It’s the most popular plan offered by Sync. In this plan, every user associated with a team gets 1 TB of storage on $5 a month. All the plans on Sync.com don’t just vary in pricing and Cloud storage, but also in features. The higher the plan you buy, the more features you get. So be wise in selecting the premium plans. With over 7 million users, pCloud is my Last pick for the best Dropbox alternatives. pCloud is extremely easy to use and affordable. Below are the key features and pricing of pCloud. pCloud offers 20 GB free space on sign up. It’s the highest than most of the other Dropbox alternatives in the list. The pCloud offers Seamless file management system. When it comes to security, pCloud is splendid. It offers highly secure encryption of files. pCloud comes with Extreme security through data synchronization and backup. It offers accessibility on most of the devices like computer, Android, iOS etc. And apparently, there are a lot more features in the list which you can check on the website. As other Cloud Storage apps in the list, pCloud also has different plans of various range. You can buy a premium plan for a lifetime or on the Annual basis. The plans detail are as follows. For $125, you get 500GB Storage. Another lifetime plan demands you to pay a $250 for one time payment for 2 TB storage. Two other Annual plans are Premium and Premium Plus. In the premium plan, you get 500GB storage on $3.99. mo. And in the Premium Plus plan, you need to pay $7,99/mo. to obtain 2TB of storage. Apart from these 7 Dropbox alternatives, there are some other reliable cloud storage services as well which you can consider like CloudMe, SugarSync etc. With this, I’ve reached the end of the article. And it’s time for me to wrap it up. So these were my top 7 picks for file sharing sites like Dropbox. Dropbox is a good cloud storage service and pretty popular. But since it lacks some crucial features like only 2GB of free storage, the absence of end-to-end encryption etc, people opt for other Dropbox alternatives. I hope, after getting to know about the top 7 apps like Dropbox, you can leverage cloud storage services better. Also, you can benefit from the additional features like real-time sharing, large file sharing service in a better way than that of Dropbox. Do tell me in the comment section below, which alternative to Dropbox you think is the most worthy. Also, if you have any doubts, queries or suggestions, you can drop a comment below now. Hi, It's me behind Updateland.com. I love to write about Blogging, Internet Marketing, making money online tips Wordpress Themes and various important SEO tools.